A small addition with a big impact on living space. 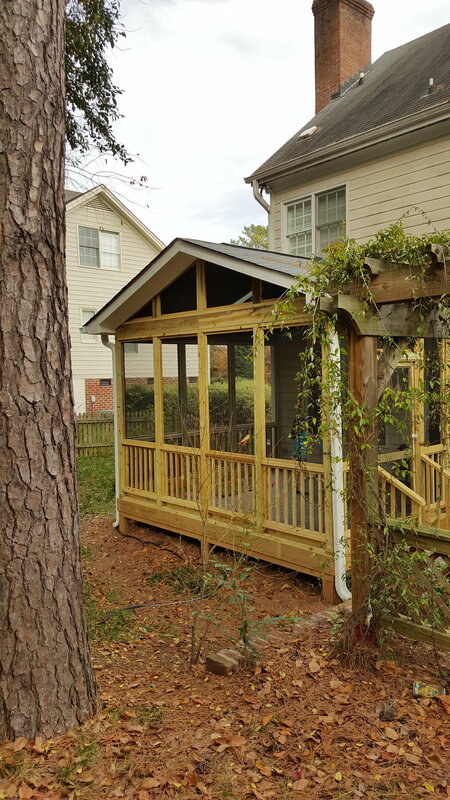 This new addition replaced an existing deck on the house. The deck, little used and in need of maintenance, was re-designed and replaced with comfort and budget as the biggest driving factors. The design is in keeping with the existing house and pergola, at the Owners' request. Additional lighting from the skylights keeps it pleasant, even on overcast days, or when the tall pines are sheltering the porch. 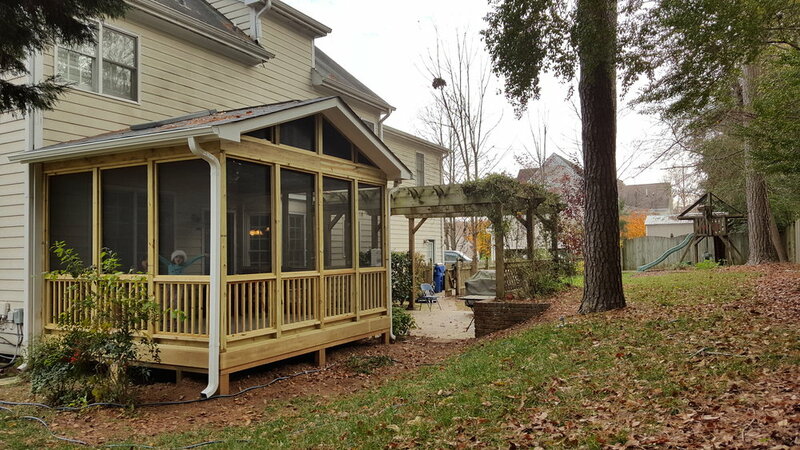 Details allow the porch to be a 3 season porch if desired, with the addition of acrylic panels.